Situated on the outskirts of Mole Creek with no direct neighbours Limestone Cottage offers privacy and beautiful rural views. 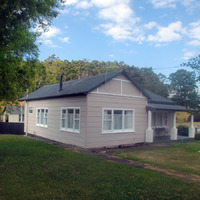 The two bedroom (1 queen, 1 twin) cottage has a fully equipped kitchen and can accomodate up to 7 people. Supermarket, pub, cafes, restaurant and post office are all within a short walking distance. Situated on the outskirts of Mole Creek with no direct neighbours Limestone Cottage offers privacy and beautiful rural views. 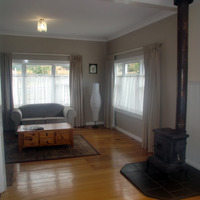 The two bedroom cottage has a fully equipped kitchen and can accommodate up to 7 people. Supermarket, pub, cafes, restaurant and post office are all within a short walking distance.